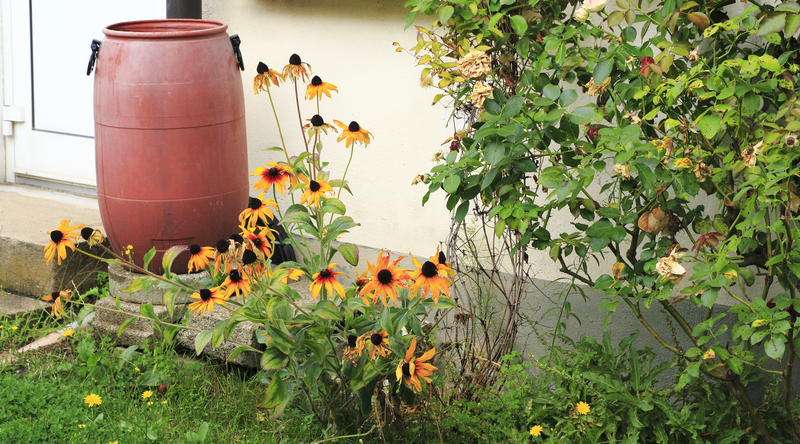 A rain barrel is, quite literally, a barrel that collects rainwater. It’s also a great way to conserve water and save money in the process. Collected rainwater has a variety of outdoor uses. It’s great for watering plants and gardens because, unlike tap water, it’s chlorine-free. It’s a great back-up for drought conditions because collected rainwater is exempt from water-use restrictions. You can also use it for any outdoor cleaning, whether you’re cleaning the siding on your house or washing your car. Tap water costs money to use, which is reflected in your utility bill. If you’re using collected rainwater in lieu of tap water, especially during the summer when outdoor water usage is higher, you could save yourself some money. Collected rainwater stays in your rain barrel, which keeps it out of municipal drainage and water treatment facilities. We live in one of the rainiest parts of the world, so every drop of collected rainwater counts. Most municipalities offer water conservation kits and/or rain barrels for a cost. Visit your municipal website and enter ‘rain barrel’ in the search field to learn more.